SBW has played an important role in the development of Western Canada continuously since1897. That role continues today as over the years the company has earned a reputation for reliability that is second to none. Reddingstone was selected as the design studio to revamp their website communications. 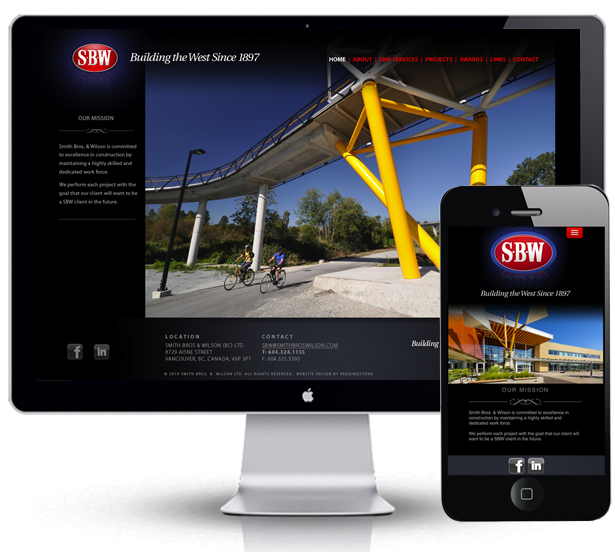 Reddingstone designers have completed developing the SBW Construction branded website. The project involves a new website with social media and mobile responsive design. Special attention to the SBW projects was important as this leading Vancouver Construction firm has a vast list of interesting and high profile client works.